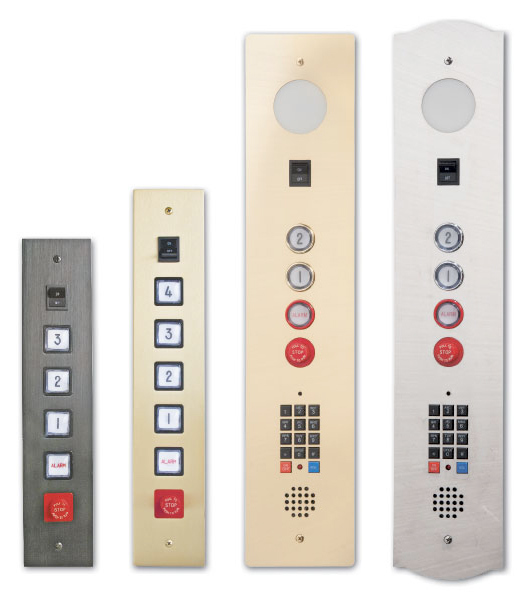 Standard features: Rectangle shape with large buttons, light switch, alarm button and emergency stop. Options: Three unique profiles, integrated phone, emergency light, key lock, and LED position indicator. Horizontal panel design is also available. Shown below: Polished Muntz car operating panel with digital LED position indicator, integrated phone and emergency light.